Hope you are having a great day. Today we are super excited to share with you a review post we have been ever so looking forward to writing...and a rather exciting interview too! 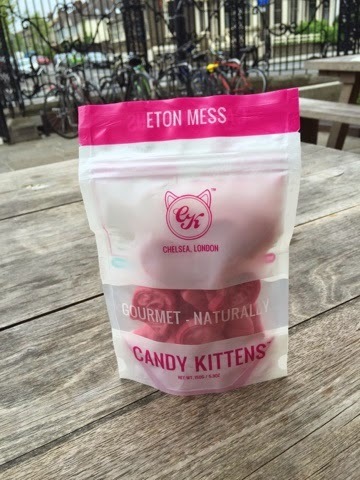 Candy Kittens, for those of you who don't know, is a confectionery brand founded by Made in Chelsea star Jamie Laing. They launched in 2012 and since then they have been sky-rocketing; their delicious goodies can be found in pop-up stores, online, in Topshop and in Selfridges. On top of these impressive retailers they're being stocked in Waitrose and were all aboard a Candy Cruise which involved visiting 12 cities in 3 weeks! 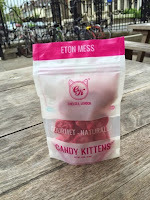 Candy Kittens were very lovely and sent us some delicious sweeties to sample. The flavors on offer were: Eton Mess, Peaches and Cream, Apple and Elderflower and Sour Watermelon. First off lets talk about the super cute packaging. We love good packaging and they have got it completely right! The fun summery colours will be sure to put a smile on your face, yet aren't too in your face, with the simple pink and white to neutralise. I'm not a huge fan of Peaches so I knew this one wouldn't be my favourite. It still tasted good, I couldn't eat too many so I offered them to some friends and they went down a treat! This one was a strong contender for 2nd place. The mix of the Apple and Elderflower is rather pleasing to the taste buds. Definitely worth a try. This is one is my 2nd favourite out of the four flavours. It is super sweet and reminds me exactly of Eton Mess. Sometimes you get some sweets that claim to be a certain flavour and they taste nothing like it, but Candy Kittens have this spot on. And i've saved the best till last. WOW!! Honestly this is amazing. I can definitely tell this will be a popular flavour. I love anything sour and I love Watermelon so an obvious winner for me. My mouth is even watering whilst writing this!! Why candy/what makes sweeties special? - Why Candy… Because I love it more than anything. They're special because when I was a kid I was never allowed to eat them, but now I have my own sweet company! 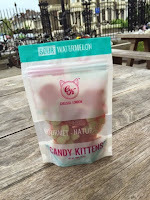 Favourite Candy Kitten fashion item? 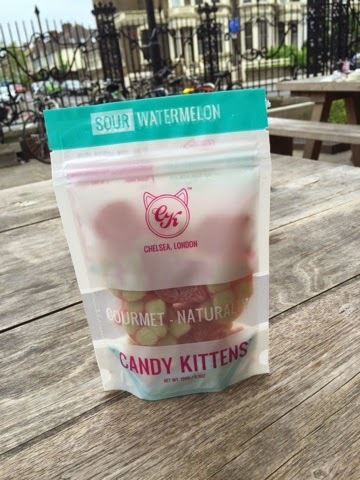 - A Cucumber Sour with a touch of Candy Kitten Watermelon flavour. I'd call it ‘Cue the Candy Kitten’. Best moment in Candy Kitten history? - Best moment for me was being stocked in Waitrose. All the hard work and effort finally visible to see. 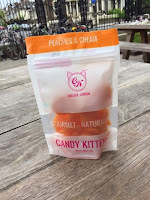 What makes the perfect Candy Kitten? - Someone who is outgoing, funny and up for anything. The girl next door who you fall in love with. 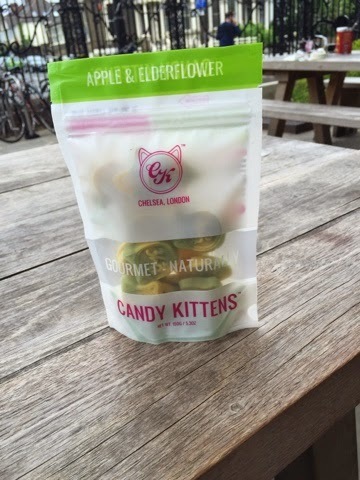 Where is Candy Kittens going in the future? - We want to take over with sweets…. haha… We want to be seen as one of the most recognised confectionery brands in the world. 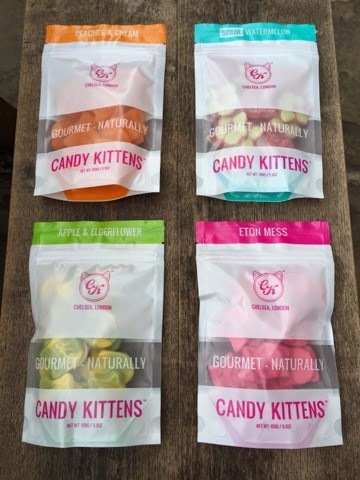 Sum up Candy Kittens in just three words? We really hope you enjoyed this post and our insight to Candy Kittens, and we'd like to send out a massive thank you for their time. It's such an adorable, sweet brand (pun intended), so we'll definitely be keeping a shelves stocked!